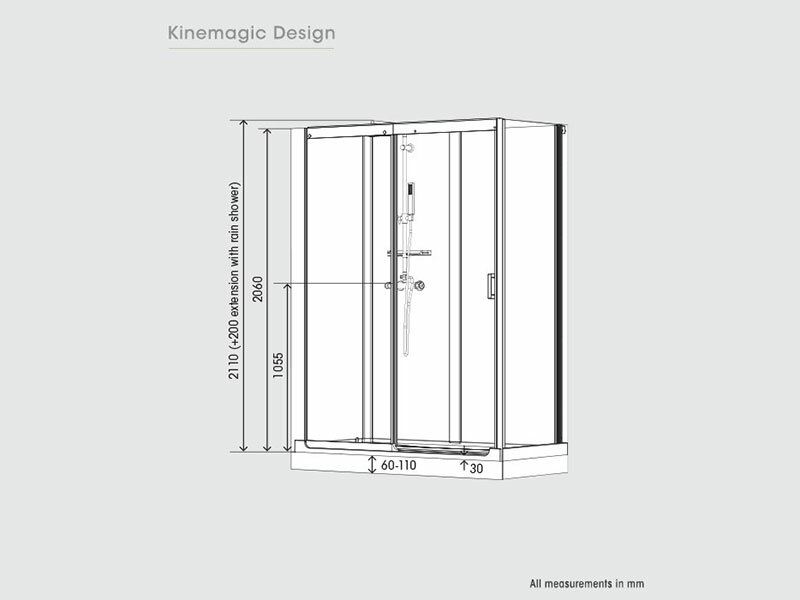 KineMagic Design shower cubicles are not only stylish, but practical too, thanks to a low height shower tray and a cool-touch thermostatic valve that brings extra showering safety. The design means the unit can be fitted in just one day. There is no fuss, no mess, and no re-tiling afterwards. 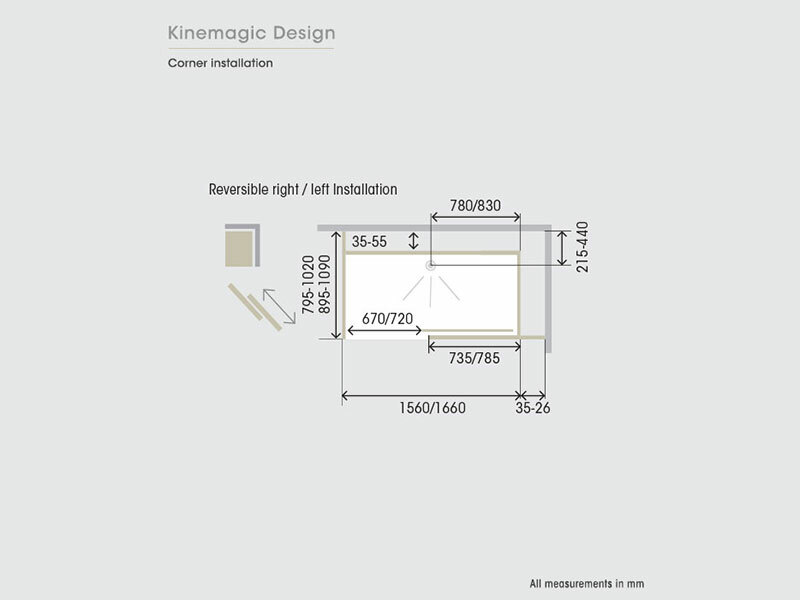 The KineMagic Design can transform any bathroom. The self-contained unit has been designed to fit into the same space as any standard bath. 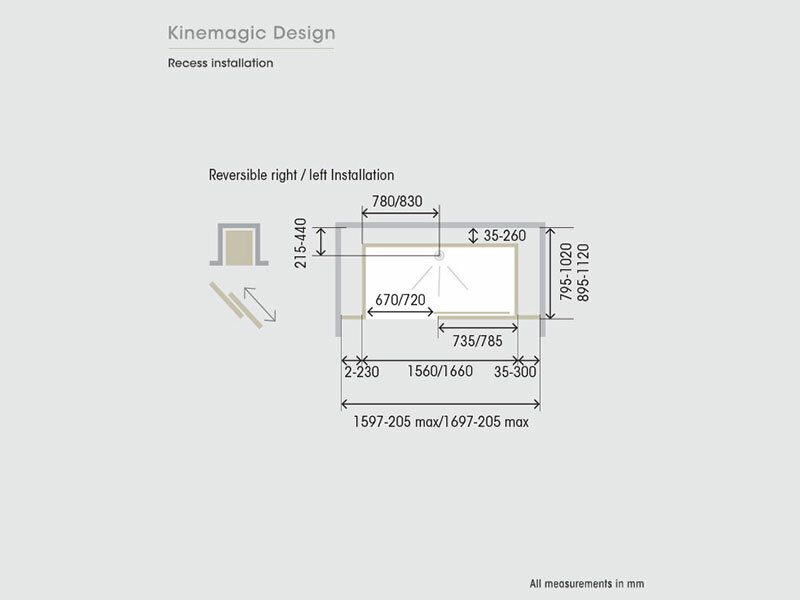 Kinemagic Design shower cubicles have both corner and recess versions. Both options come in a choice of ten sizes ranging from 1200mm x 700mm up to a massive 1700mm x 900mm. The KineMagic Design includes an accessories shelf as standard. Other features include a low profile shower tray and a two-way shower diverter. 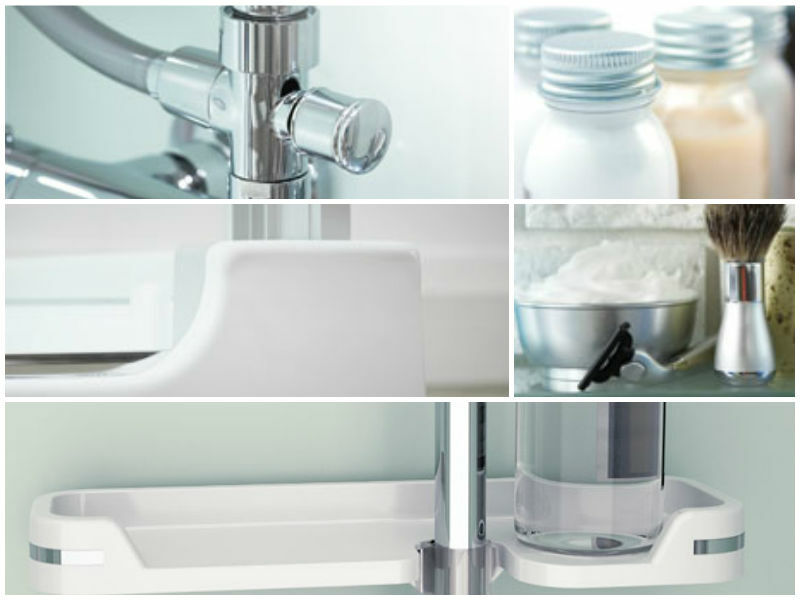 In a humid bathroom, silicone will deteriorate and discolour without constant maintenance. 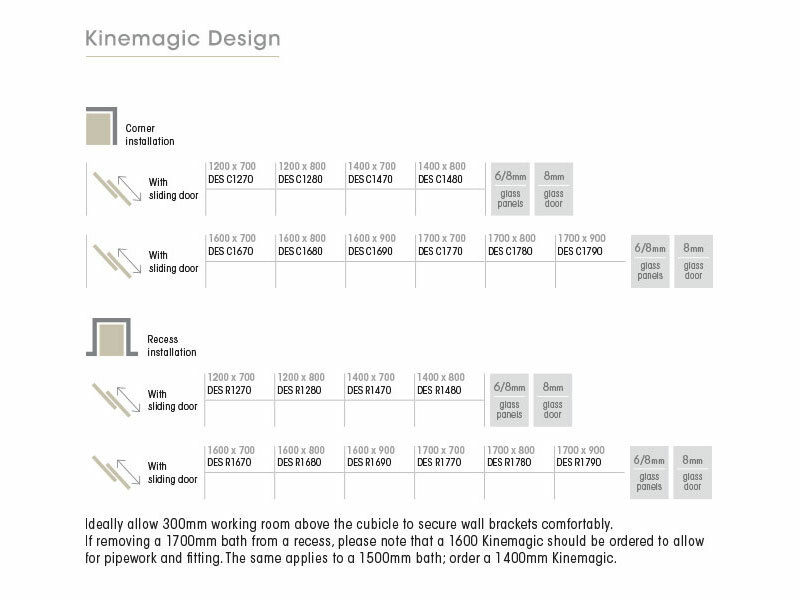 With KineMagic Design shower cubicles silicone is redundant. The wall panels of the KineMagic Design are cleverly designed to fit snugly within the shower tray. The precision involved with each shower cubicle’s design allows water to simply run down the inside of the shower with no chance of escape. As there is no need for tiling or grouting, your shower will stay looking as pristine as the day it was installed. All KineMagic Design shower cubicles are treated with Cristal Plus; a permanent, anti-limescale coating that minimises the build-up of calcium deposits and dirt on glass, reducing the need to clean. This transparent chemical treatment is resistant to hot water and UV rays. Cristal Plus encourages water to run off the glass without leaving streaks or water marks. You can buy the KineMagic Design along with all of our Saniflo Systems and Kinedo Shower Cubicles with the reassurance of dealing with the leading Saniflo & Kinedo Agent in the UK. Deliveries are to kerbside. Please ensure you have assistance available to carry in the boxes if there is a distance from your front door to the kerbside delivery and communicate this to us when you place your order. The delivery company do not deliver upstairs or bring your product inside your residence.